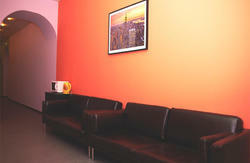 We offer more than just accommodation. We have all the basic stuff to provide good rest after backpacking day also as nice company to chat, hang out, share travel stories. 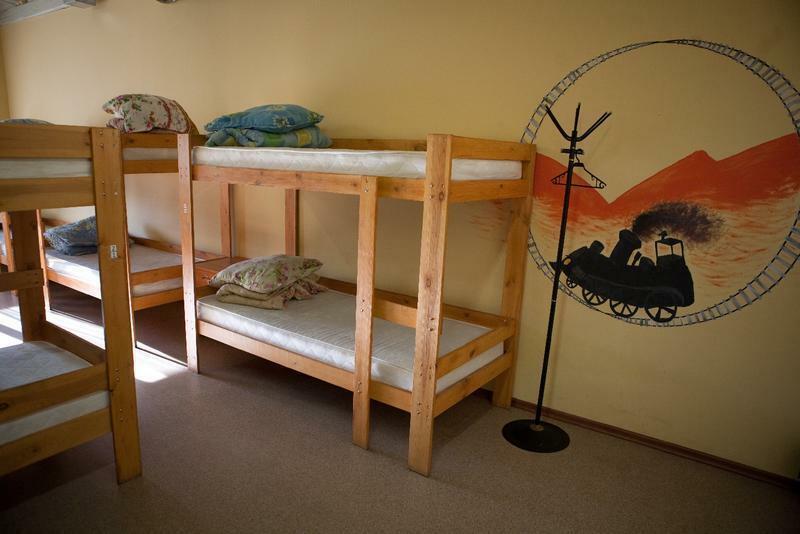 We have 7 rooms, 3 showers and 4 toilets, party room, common kitchen and laundry. Party Train is located behind main train station (Moskovsky vokzal). Good reference is GALLERIA Shopping. From 8 a.m. untill 23 p.m. there is short way from metro-station (or Nevskiy) to hostel - turn in second GALLERIA parking tunnel (one is NOT underground one) and you will come to back-yard parking, cross it and in 15 meters you've arrived. 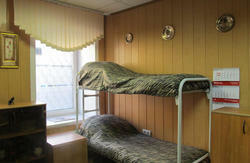 During the other time you have to walk until main entrance of Ligovskiy 50 complex territory. That is located between Savage clothes shop and TechnoShock electronics market. You will see a map of the complex there. Go along main alley of Ligovskiy 50 complex, until the end (you will stay between building 2 and building 1), turn LEFT and pass between 1 and 2 buildings 50 meters. You will see our orange train logo and blue stairs. We are on the 1st floor!